Before Jennings, Brokaw, and Rather, there was Stogner. Larry beat those broadcast legends to the anchor desk by five years. DURHAM (WTVD) -- ABC11's Larry Stogner celebrated his 40th year in broadcasting Sunday with an induction into the North Carolina Association of Broadcasters Hall of Fame. Before Jennings, Brokaw, and Rather, there was Stogner. Larry beat those broadcast legends to the anchor desk by five years. He began his career at ABC 11 on March 8, 1976. So many things about our hometowns and world have changed since then, and Larry's been there to help viewers make sense of it all - a constant and comforting presence on the 6 o'clock news. When the unthinkable happened and terrorists attacked the World Trade Center, Larry got the exclusive tour of Ground Zero. When ABC 11 viewers donated $1 million to firefighters' families, Larry delivered the check personally to New York City's Police Commissioner. Larry is passionate about covering our North Carolina troops in harm's way. A proud Vietnam Veteran himself, Larry has reported over the past decade from the wars in Afghanistan and Iraq. And, he's never let us forget the lessons of Vietnam, taking local viewers back with him to "Nam" for the 20th Anniversary of the Fall of Saigon. Larry is a "reporter's reporter" - always at his best when the big story breaks. When a massive earthquake slammed Haiti in 2010, Larry slept on the airport tarmac his first night there and he went back for a second trip to show viewers local earthquake relief efforts. When disaster struck closer to home on April 16, 2011, Larry left the studio again to hit the streets of Raleigh to show tornado damage first hand. His early reports from the scene showed the scope of the tragedy. But there have been many triumphs along with the tragedies. Larry toured the Great Wall with Governor Hunt on his historic trade mission to China in the 70s. He was with Dean Smith and Michael Jordan in 1982 when his beloved Tar Heels won their first National Championship of the modern era. And there was a triumph for Larry personally when he was inducted into the North Carolina Journalism Hall of Fame in 2010, joining broadcast legends Charles Kuralt and David Brinkley as having earned this highest of honors. And Larry was honored again last year with a special invitation to the White House for a rare one-on-one interview with President Barack Obama. 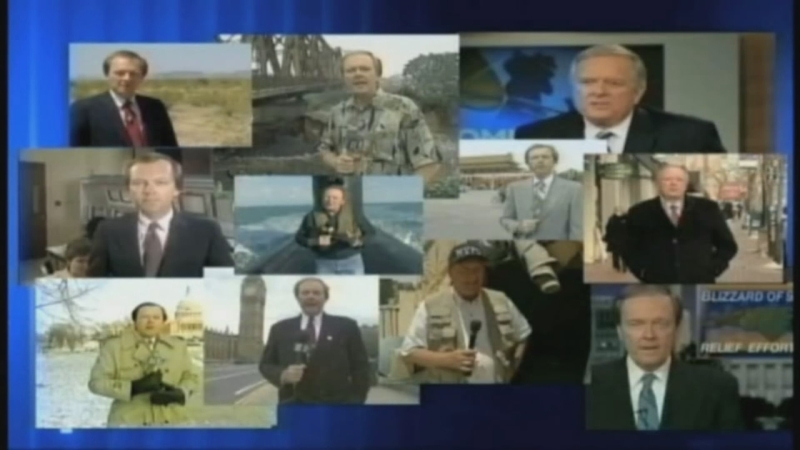 North Carolina native, Vietnam veteran, Reporter's reporter - ABC11 salutes the Hall of Fame career of Larry Stogner.